There’s a Spanish proverb that says “a full belly makes for a happy heart”, Let me make your heart happy! Food, glorious food: I’ve got plenty of it, and drinks too! Feeling peckish, need a sweet pick-me-up and a caffeine fix, or desperate to unwind with a cocktail after a long day of work or play? Let me look after you and your blood sugar. 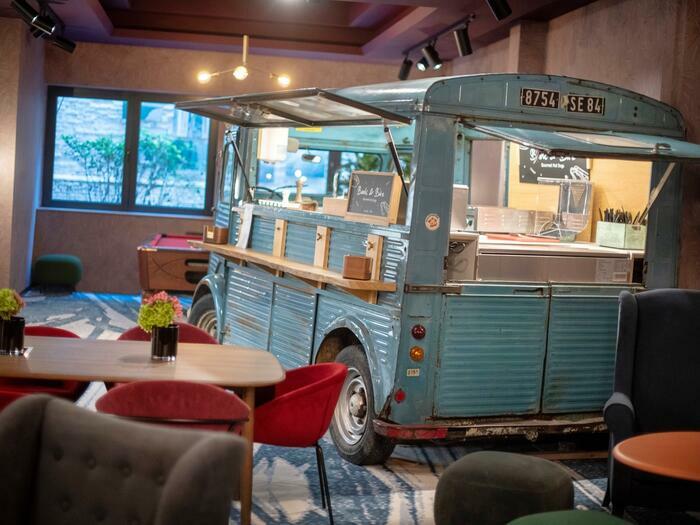 At Hotel Hubert you will find a wide range of unique dining options in central Brussels, from The Foodemakers offering healthy food options to our peculiar Food Truck in the hotel offering gourmet street food. 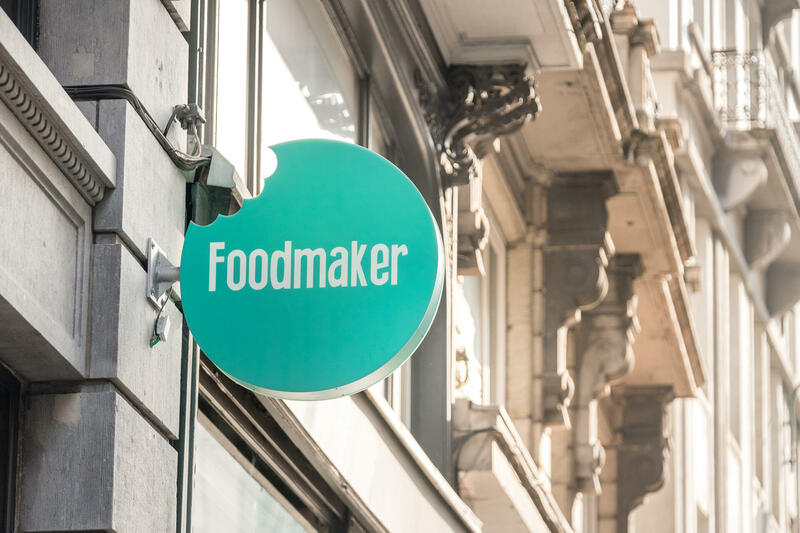 I don’t serve it, but my good friend Foodmaker is ready to look after you with a range of tasty breakfast options, whether you’re the “most important meal of the day” type, or in the “just bring me coffee” camp! 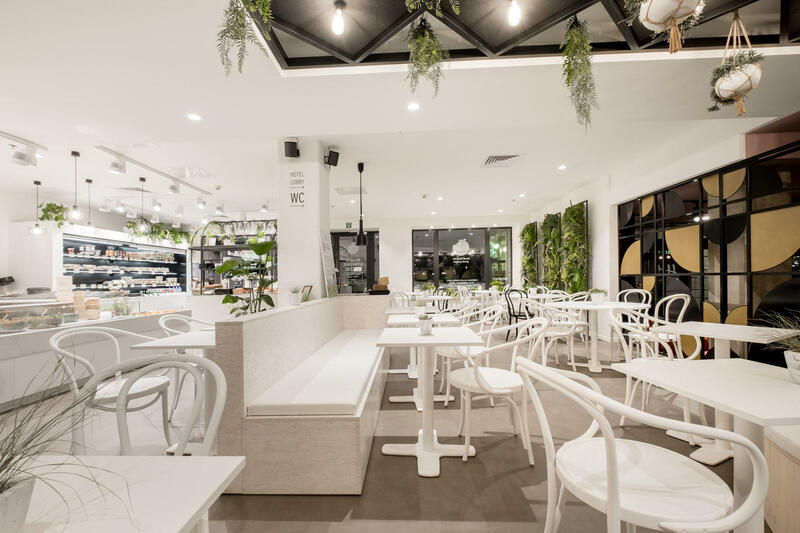 Sharing the ground floor space, my friend The Foodmaker has you sorted for everything from vitamin-packed healthy salads, sandwiches and smoothies to indulgent pastries (hey, we’re only human, sometimes we all need a treat). I went there, or rather my cute vintage Citroën HY van did. It’s open from 6pm every day, with a real chef, serving up gourmet hot dogs, from classic American to funky recipes from around the world. 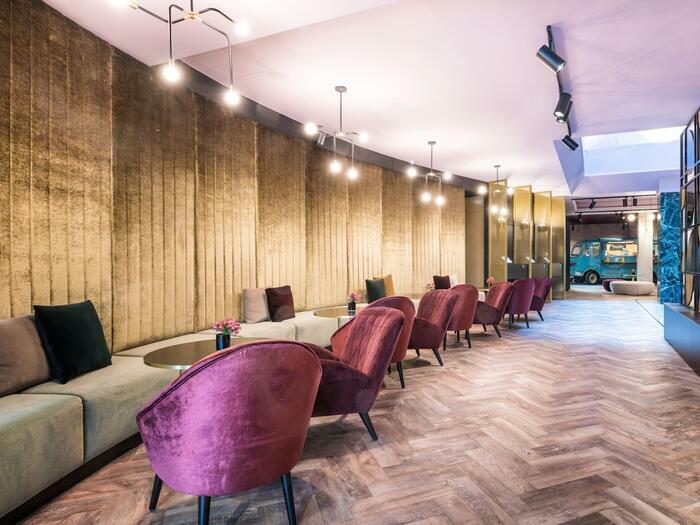 My ground floor is a meeting place right in central Brussels, a chill-out space, an all-day bar and simply a lovely spot to spend some time. 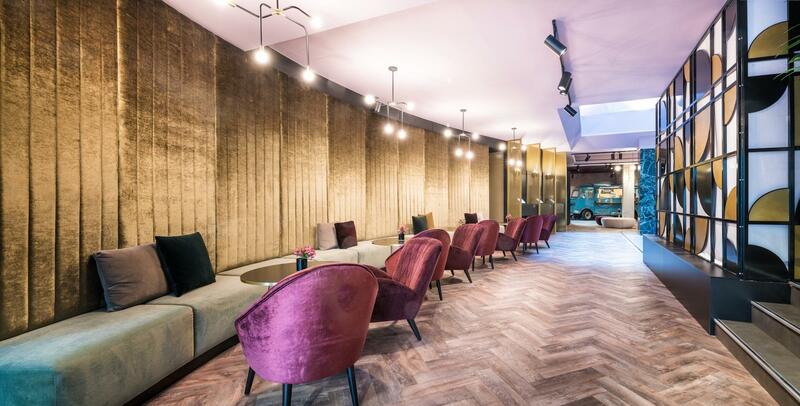 Digital nomads, business travellers, backpackers and locals: make yourself at home.